Politics is a polarizing issue (it’s politics after all), and generally speaking people tend to seek out a news source that confirms their political bias. But if we think about news just as news, but as content, it becomes imperative that political news outlets, whatever their slant, understand what their audience is after. And it’s with this in mind that I feel comfortable making a sweeping statement: Liberal media has no place on television. Let’s step back a moment and agree some basic facts: If consumers have difficulty finding content that they like, that means that content providers are going to have difficulty in monetizing their product. There are services all over the world that produce and distribute content, and countless numbers fail because they didn’t know their audience well enough; the consumer knows what they want, and it’s the job of the successful service provider to get it to them in the way they want it. The music industry learned this lesson the hard way. Consumers were screaming from the rooftops that they wanted fairer priced, digital content that they could purchase easily, take on-the-go and share with their friends. Did the industry listen? No. 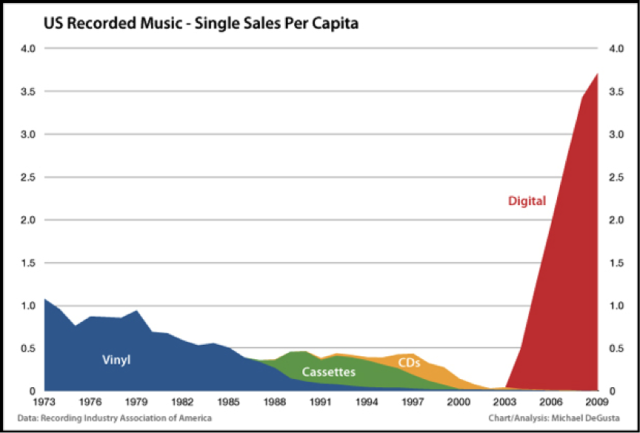 That’s why iTunes and Spotify rule music these days, not Sony BMG or Universal. The film industry has similarly been bought to heel (not to the same extent, but close) and television is facing a similar threat. Many TV content producers and services are going out of their way to give their consumers the content they want in the way they want it though, learning from past examples. So with those objective facts established, lets get back to the subjective debate: Liberal TV (as a medium) cannot succeed. Why? Well, when Rupert Murdoch and Roger Ailes created Fox News in the late 1990s, it was to serve a specific audience with a specific need; namely that a large proportion of conservatives felt they were underserved in the media and needed a voice. There was an audience with a need for content, and Fox News filled it perfectly. Since inception, Fox has become the most dominant news network in America, demolishing all competition in the ratings and going from strength to strength. It remains helmed by Ailes, and is still shaped by his ability to consistently deliver to his audience exactly what they want, keeping them happy and (more importantly) loyal. Seeing the smash success that Fox became, coupled with the backlash towards the Iraq War and the Bush Administration’s many mid-2000s failings, MSNBC repositioned itself as a liberal news outlet; the anti-Fox, as it were. It was largely Keith Olbermann that sensed that there was an audience for explicitly liberal commentary, and on his back and others since, MSNBC has become the home for Democratic leaning viewers. The years since have not been kind. Fox has continued to destroy MSNBC and every other news outlet in the ratings for almost the entirety of its existence. But why? Why is Fox News so successful, and why can MSNBC never seem to hold a candle to its ratings success? It all comes down to the assertion made above; you have to know your audience. Let’s agree on some other very basic facts: Conservatives skew older and whiter, while liberals skew younger and more demographically diverse. Conservatives skew towards traditional forms of media – print, radio, television, long form, while liberals skew towards new media – online, aggregation services, time shifting and shorter form. MSNBC delivers left leaning news, but they aren’t delivering it to the majority of the liberal audience, because the liberal audience doesn’t watch television in a traditional manner. Sure, the network attracts a younger audience than Fox, but it doesn’t actually attract a young audience - the majority of its prime time audience is over 50 years old. It also attracts a high proportion of African American and female viewers, but it doesn’t seem to attract the broad swathes of the liberal demographic that it needs to. Fox, by comparison, hits all the buttons of the conservative demographic. Conservatives are older and so is the Fox News audience. Conservatives believe they have a greater sense of morality and conscientiousness, as do Fox viewers. Conservatives trend whiter and straighter and so are... Well, you get the gist. Ninety four per cent of Fox viewers are Republican, and while not all conservatives identify as Republican, most Republicans identify as conservative. Fox’s content is tailored towards serving and keeping its audience. Viewers of broadcast television and specifically news and political content are getting older every year. Fox News’ dominance on television is assured because their target audience watches that format more than anyone else’s does. The average age of the Fox News audience is 68.8 years old - Bill O’Reilly’s (their highest rated anchor) average viewer age is just over 72. Do you know how old a large proportion of the audience needs to be to get that as the average? 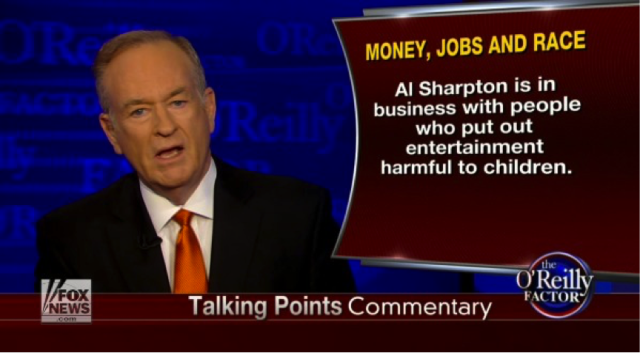 Fox’s audience is old. And that serves them just perfectly. What does this tell us? Simply, that a sizable proportion of liberals – and the future of the country – aren’t interested in watching a traditional TV format to get their news. They’re online, consuming a relatively large amount of news that informs their worldview from trusted and established sources. It they are watching TV at all they’re getting their news in formats that are shorter form, snappier and, put plainly, not just news. Liberal media cannot compete with Fox News on television. It is simply impossible. On the other hand, conservative media like Fox is dependent on dying formats to reach what will become an equally dying audience. There are solutions, but they are not easy. MSNBC needs to start putting a premium on its digital presence at the expense of its televised one. I know that’s practically heresy, as news networks need the prestige of cable in order to be taken seriously, but the internet is where their audience is. They need to leverage the prestige of their name and produce first run, internet-only content that should probably focus on providing shorter yet in depth coverage of specific topics. Conservative media has the far greater problem in the long term, as conservatives don’t tend to do well online for a variety of reasons, the main one being that their audience isn’t there. In the future however, all audiences will be. And when arguably the most popular and famous conservative news site looks like The Drudge Report… Well, let’s just say you’ve got an uphill battle on your hands. All of this comes back to a single point: Know your audience. Give them what they’re after and they will help you succeed. But with so much content to choose from, they are in no way obligated to change their habits to suit yours. “Change” shouldn’t be seen as just an Obama campaign slogan, but a rallying cry to the network that supports him. Their future depends on it.